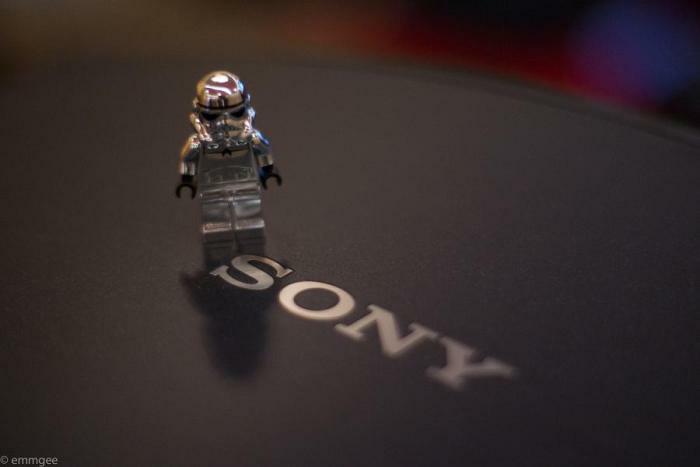 An afternoon of 4K delight with Sony. 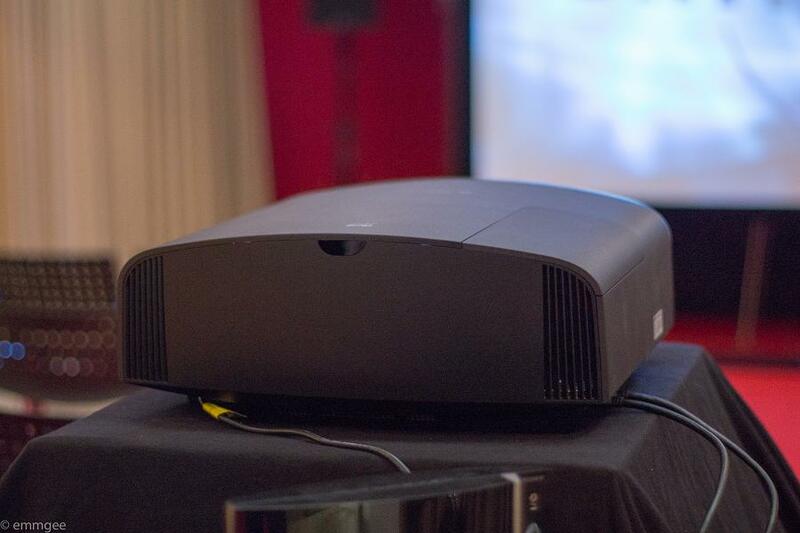 When Sony invited Audio-T along to Sony Music in Kensington to introduce us to the stunning new 4K VPLHW300ES 3D projector. I got the opportunity to attend. So a quick walk to Manchester Piccadilly Train station and 2 hrs 9 mins later I’m at London Euston. A couple of underground stations later and I’m at 99 Kensington High street outside Sony Music. Easy, who needs HS2. 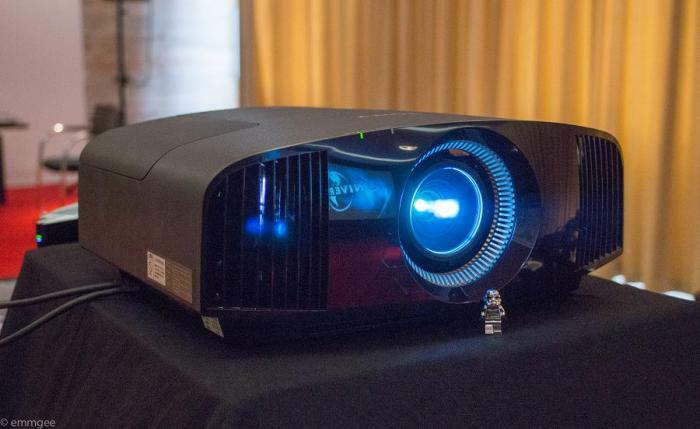 The folks at Sony kicked off the proceedings with a demo of this year’s world cup, where Sony’s own dedicated native 4K broadcast cameras were used for filming, the footage is simply stunning and shown through the 300es it is genuinely jaw dropping. The last time I saw anything as good was through the 500es in our demo room in Manchester and apart from a clearly brighter image from the 500es the 300 holds its own in every other aspect of picture quality. Truly impressive. Next up was a clip of concert footage from Muse. Once again, the 4K 300es deals with black level and detail with aplomb. Muse always seem to use at lot of purples and violets during their concerts and against dark backgrounds the Sony just picks out the detail with ease and the colours almost start to drip off the screen. 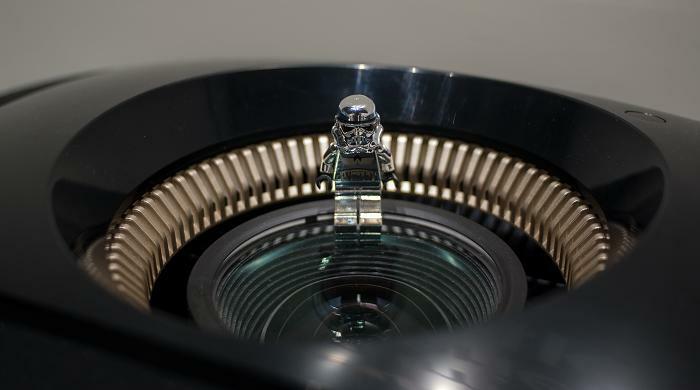 I really, really want one. Finally, and in my opinion most importantly we were shown a regular blu-ray disc to show off the upscaling capabilities of Sony’s digital reality creation (DRC). Well, I have to admit I was blown away with DRC’s ability to resolve even more detail from blu-ray, while at the same time not having any adverse effect on the colours or sharpness. So, in reality, this means that all of your old Blu-ray collection (and mine) will get a new lease of life just by scaling it through the 300es. Happy days!! I love this job and the VPL-VW300ES. The Sony 300ES has the same case size as the 500ES. For more information on new Sony VPL-VW300ES please follow the links below. 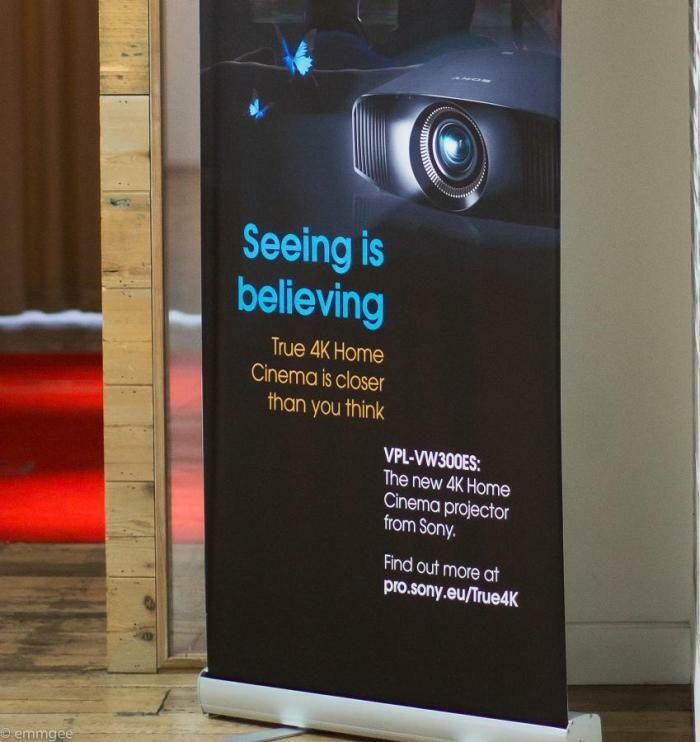 You can also contact the guys at Audio-T Manchester or pop in and pick up a dedicated brochure on the Sony 4K range of projectors. See you at the store. Chord and Arcam Day - minus One! The New Ruark R1 Dab Radio is here.